Home Diagnose yourself Pleural Effusion – How to interpret the results? 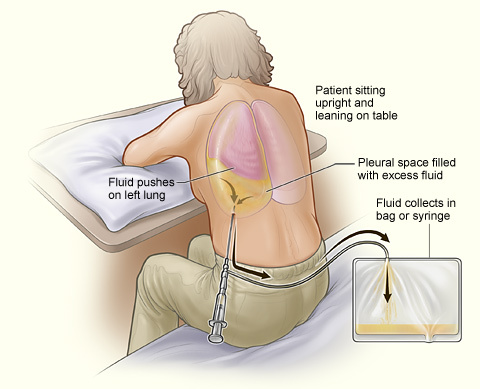 Pleural effusion is the accumulation of fluid in the pleural cavity. Fluid in the pleural cavity may be part of a systemic process or due to a diseased pleura. Pleural effusion does not mean simple fluid, it can be blood, pus, serous, malignant or infective in nature. All these may be diagnosed as pleural effusion on an ultrasound, x-ray or a computed tomography. So, aspiration of the pleural fluid via a needle confirms the diagnosis. What causes pleural effusion (accumulation of fluid in the pleural cavity)? Transudative pleural effusions are usually part of a systemic process. 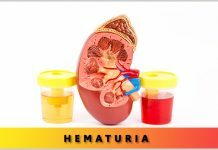 These include kidney diseases like nephrotic syndrome, liver cirrhosis, heart failure, malnutrition and malabsoption (causing hypoalbuminema), and iatrogenic causes like misplaced central venous catheter. How to drain pleural fluid? To drain pleural fluid, one should first confirm the fluid by doing a chest x-ray or preferably an ultrasound. Sometimes, pleural thickening or a lung mass can be seen as pleural effusion on a chest x-ray. Ultraosund is a very sensitive test for the detection of fluid in the pleural cavity. After identifying the site by clinical examination and/ or ultrasound guidance, the area is cleaned with a pyodine or cholrhexidine and let to dry. The area may be anasethetized with a lignocaine given intradermally. A cannula 16 to 18 gauge or a needle is inserted in the intercostal space above the lower rib (to avoid injury to the neurovascular bundle). The needle is advanced while the plunger is being pulled. When the needle enters the pleural cavity, fluid will gush into the syringe. Thick fluid like pus and blood may be difficult to aspirate with small needles. How to interpret pleural fluid analysis? The next important step is to interpret the fluid chemistry and label it as exudative or transudative. The Light’s criteria is commonly used to differentiate transudative from exudative. 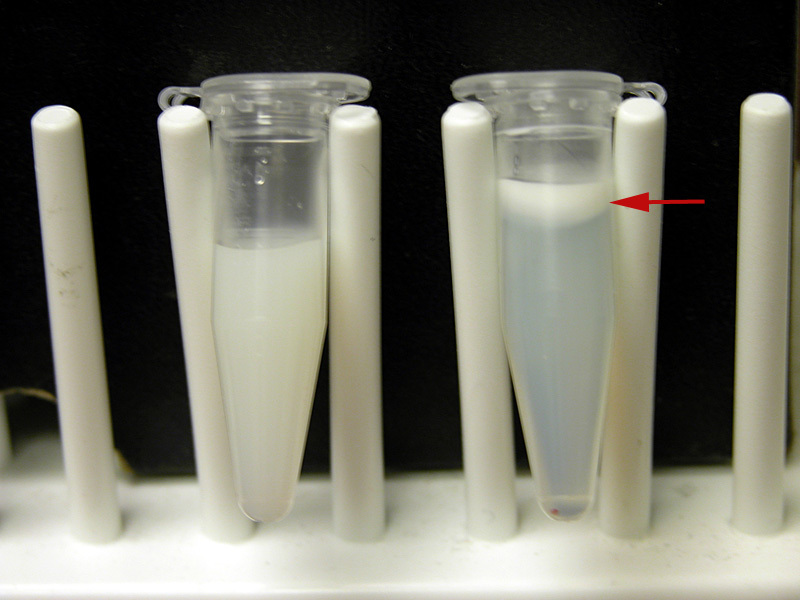 Proteins in the pleural fluid is indicative of an exudative etiology. Transudative pleural effusions have less than 3.0 grams of proteins per decilitre. Pleural fluid proteins greater than 4 gms may be seen in tuberculous effusions. Proteins greater than 7 gm/dl in the pleural cavity may be seen in myeloma and waldenstroms macroglobulinemia. Pleural fluid LDH of greater than 1000 IU/l is found in empyema, rheumatoid pleurisy, cancers and lung flukes. In patients with pneumocystis jirovicii pnneumonia (PCP), pleural fluid LDH to serum LDH ratio is usually greater than 1 while pleural fluid proteins to serum proteins is less than 0.5. Pleural fluid cholesterol of greater than 45 is indicative of an exudative effusion. values greater than 250 mg/dl is indicative of a chyliform effusion. Similarly, pleural fluid triglycerides levels of greater than 110 mg/dl is indicative of chylous effusion. 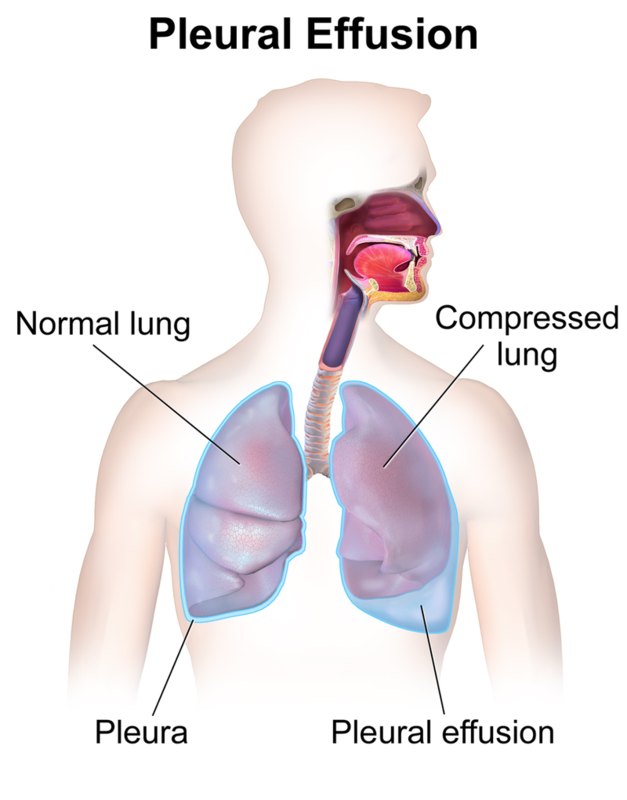 The lowest (sometimes undetectable) levels can be seen in rheumatoid pleurisy and empyema. The normal pleural fluid PH is approximately 7.60. Transudative pleural effusions have a PH of 7.40 to 7.55 while the majority of exudative pleural effusions have a PH of 7.30 to 7.45. Pleural fluid PH of less than 7.30 may be seen in empyema, rheumatoid pleurisy, tuberculous pleurisy, malignancies and pleural fibrosis. A pleural fluid PH of less than 7.1 usually needs a tube thoracostomy. Similarly, low pleural fluid PH in malignant effusions is associated with a reduced survival rate. A pleural fluid amylase to serum amylase ratio of greater than 1 is indicative of acute or chronic pancreatitis, malignancy and esophageal rupture. Pleural fluid adenosine deaminase levels may differenetiate between tuberculous and malignant pleural effusion when cultures and cytology results are inconclusive. In tubercuolus pleural effusions the level of ADA is typically greater than 50 Units/litre. In addition, more than 50% of the malignant pleural effusions have lymphocytosis. How to treat a patient with a pleural effusion? Treatment of pleural effusion should be focused on the underlying medical conditions. However, patients with massive pleural effusion may be advised a therapeutic pleural tap. 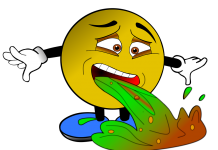 One to two liters of fluid may be drained to relieve the patient’s symptoms. In cases of malignant pleural effusions, a therapeutic pleural tap may be followed by pleurodesis. How to perform a lumbar puncture? How to interpret blood CP? How to investigate Nutritional anemia? Previous articleNutritional anemia – How to investigate? Next articleTen Subtle symptoms after a dog bite – to worry about!